As part of the Blocked User List system, this report is a convenient way to see all users that are blocked or that are white-listed. This monitor has the standard report tabs: Report Display Type, Source Data, and Report Group tabs as the rest of the monitors. 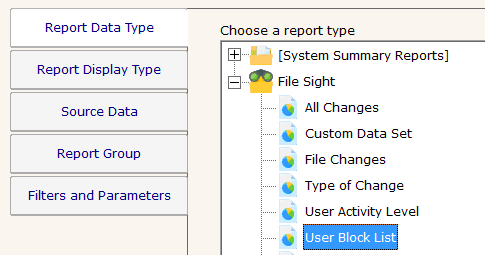 Unlike most monitors, this report does not have any settings on the Filters & Parameters tab. Rather you select the data you want on the Source Data tab.